Cables are compatible with original Microsoft Xbox systems. Safety breakaway feature. Over six feet long. Quick-release interlocking cable. For the FIRST GENERATION XBOX ONLY! Will not work for the XBOX 360! Will not work for the XBOX ONE! Compatible Only With Microsoft Xbox Original Console. Specifically designed to provide the sharpest video and sound for your XBOX gaming system. This Xbox Protection Cord disconnects power to the Xbox console if it detects an electrical problem. AC Power Cord & AV Cable. 6 Ft cord (Power Cable and AV Cable). for Original XBOX. Fits Original XBOX (Not 360). Our sales manager will leave you positive feed back once you have left positive feed back for us. 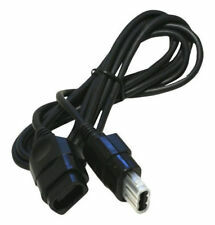 Power Cord & AV Combo for the Original Xbox System - Designed specifically for the Original Xbox. Included:Power and AV Cable Combo Set. Platform: Xbox. Model: Xbox. We will do our best to resolve any problems that may arise. 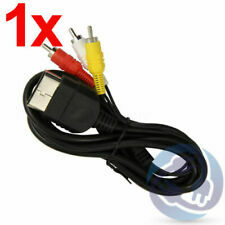 Original AV Cable Audio/Video Cord for Microsoft Xbox 1st Generation Console AV-Video. NOT compatible with: Microsoft Xbox One, Xbox 360. High-end connectors give you long-lasting secure, interference and distortion free connectivity. Breakaway Cable. This is for theOriginal XBOX ONLY! This will not work on the XBOX 360 or XBOX ONE. Our sales manager will leave you positive feed back once you have left positive feed back for us. 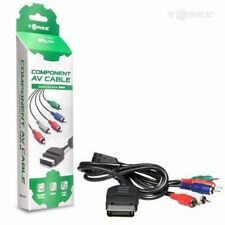 You are purchasing one set of Component AV Cables for your Microsoft XBOX System. Show off your Xbox with better graphics, better sound and better quality on your TV! Compatible with Xbox. Connects to component equipped TV PC monitor or projector video inputs. So I use authentic microsoft 360 component cables since they are high quality durable component cord and its still xbox. It just makes sense. You can find cheaper component cables but they are complete junk.They aren't insulated enough or shielded properly and seem flimsly and weak. Included:HDMI Adapter Cable for the Original Xbox. Platform:Original Xbox. Compatible with HDTVs and all Original Xbox models. 7 ft. cable with clear picture quality and crisp audio. We will do our best to resolve any problems that may arise. Compatible with HDTVs and all Original Xbox models. By Old Skool. 6FT HD Component AV Cable. This RCA Cable is ONLY for the Original XBOX System! It will not work on the XBOX 360 or XBOX ONE! for Original XBOX. Our sales manager will leave you positive feed back once you have left positive feed back for us. 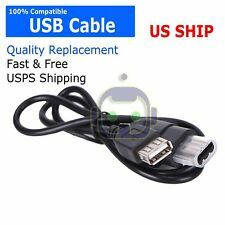 XBOX USB CABLE - Female USB to Original Xbox Adapter - US Seller - Soft-Mod NEW! 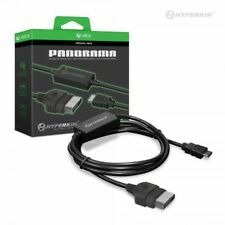 Converts standard Xbox port into USB port (type A female). Perfect for developers & coders (Linux installations, etc). Connects up to four USB devices to the console. Most USB devices are not compatible with the standard Xbox OS and modding may be necessary. Platform: Microsoft Xbox. Model: Xbox Orginal. Cable Length: 6ft. Condition: New. 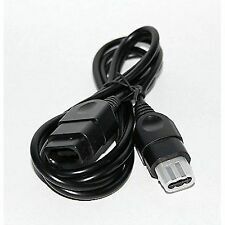 Features: 100% brand new and high quality Quality USB adapter cable for Original Xbox Cable constructed using the high quality material for best contact connection Provide highest level of signal quality Hook up compatible USB hardware to your Xbox Color: Black Length: 70cm / 27.56" Note: Please allow 1-3cm (0.4-1. 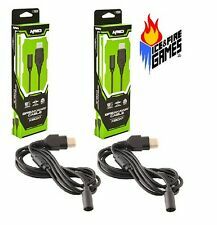 XBOX TO PC CABLE - USB Controller Adapter Gamepad Converter - US Seller - NEW! Support both Digital and Analog modes. DirectX 7.0a or above. 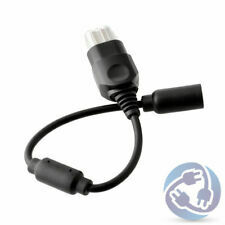 Easy to use hot-plug into USB port of your PC. Xbox to USB Converter. US funds only. S&H fees are not negotiable. 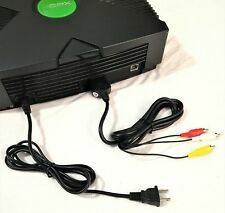 Power Cord & Component AV Combo for the Original Xbox System - Designed specifically for the Original Xbox. Included:Power and Component AV Cable Combo Set. Platform: Xbox. Model: Xbox. We will do our best to resolve any problems that may arise. 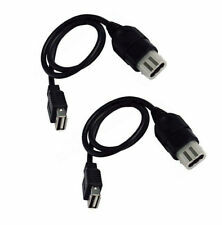 1PC Xbox AV Cable AC Power Cord. Make playing your favourite console even easier with a new Component AV HD cable. Enjoy the best possible picture & sound quality on modern TVs than with any other cable. 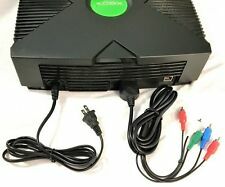 Original Xbox Controller Cable Extension Cord - *Brand New* - 6 Ft.
4.5 out of 5 stars - Original Xbox Controller Cable Extension Cord - *Brand New* - 6 Ft.
8 product ratings8 product ratings - Original Xbox Controller Cable Extension Cord - *Brand New* - 6 Ft.
⑥This AV Cable providers composite video and audio output for viewing on a TV / Monitor. ④High quality AV Video lead. ③Length：Approx.5 ft. You may also like. ⑤High-end connectors give you long-lasting secure, interference- and distortion-free connectivity. THIS WILL WORK FOR THE ORIGINAL MICROSOFT XBOX CONSOLE (THE FIRST ONE THAT WAS MADE THIS IS NOT FOR THE XBOX 360 OR THE NEW XBOX ONE SYSTEM. System not Included. NON CONTINENTAL USA AK / HI / PR / APO / FPO / & OTHER US TERRITORIES. ). 1 x Breakaway Cable. Due to the different display and different light, the picture may not reflect the actual color of the item. Net weight: approx. THIS WILL WORK FOR THE ORIGINAL MICROSOFT XBOX CONSOLE (THE FIRST ONE THAT WAS MADE THIS IS NOT FOR THE XBOX 360 OR THE NEW XBOX ONE SYSTEM. CONNECTS THE ORIGINAL XBOX CONSOLE TO A STANDARD ELECTRICAL OUTLET. ). 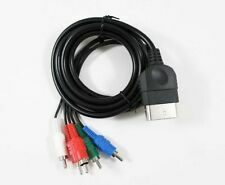 Genuine Original XBOX Composite AV RCA Video Cable.